EHF Marketing GmbH, the marketing arm of the European Handball Federation, has announced a new agreement that will see the promotion of the 2015 World Handball Championship to fans across Europe. Beginning with the 2013 VELUX EHF FINAL4 to be played in Cologne on 1/2 June 2013, the co-operation will see the advertising and promotion of the event through LCD perimeter advertising in the VELUX EHF Champions League. The deal also includes promotional events for fans at the next two VELUX EHF FINAL4 events and at selected matches in the VELUX EHF Champions League over the next two seasons. The 2015 World Championship will be played in Doha, Qatar from 11 to 27 January 2015, the first time that the event will be hosted in the Middle East. In a new innovation, the 24-team event will be staged in venues across one city, offering superb conditions for teams, media and spectators who will be able focus completely on the sport rather than travelling between venues. Thanks to the Qatari climate, fans travelling to the event will also be able to enjoy the sun with average temperatures of 20 degrees in January. Over the ten years, Qatar will be hosting several of the world's most important sport events, including the FINA 2014 Swimming World Championship, the 2015 Men’s World Handball Championship, UCI 2016 Open Road World Championship and the 2022 FIFA World Cup. 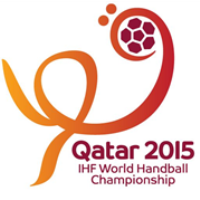 Tickets can be purchased now for the 2015 World Championship via the official website www.qatarhandball2015.com. Handball fans will be able to take advantage of attractive travel packages to the event, which will include discounted airfare, accommodation (from 2 to 5 star), travel and sightseeing. The packages will include free tickets to World Championship games.